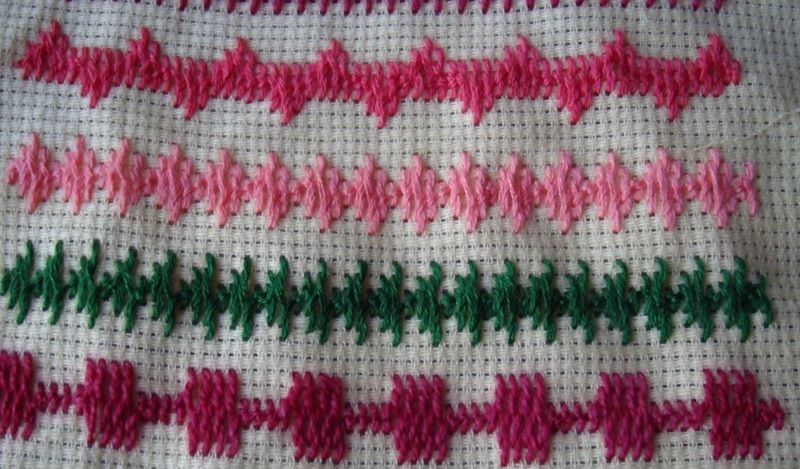 This week’s stitch on the TAST 2012 Challenge by SharonB is cretan stitch. This was 4th week stitch on the first TAST challenge. I had not participated in the first one, but when it was rerun on Stitchin fingers, I joined and did a few stitches, I did not complete that challenge either. But this Cretan stitch I had worked but did not post the pictures. So before I start working on this stitch exploration, these are the pictures of the ones done in 2009. 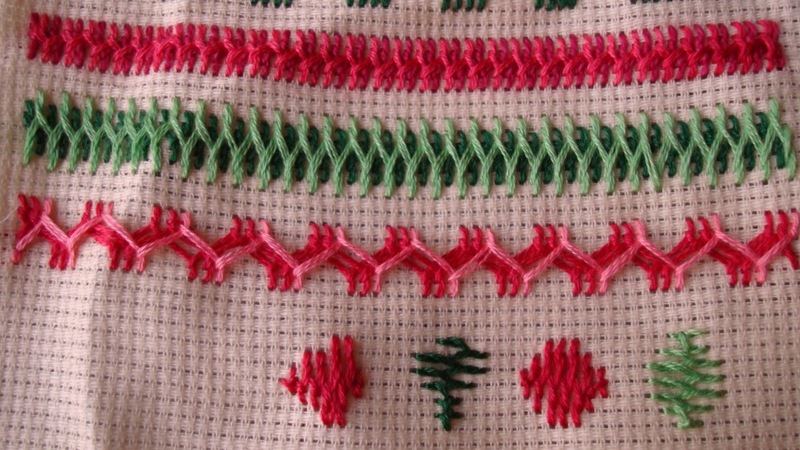 The Cretan stitch was worked in even weave. 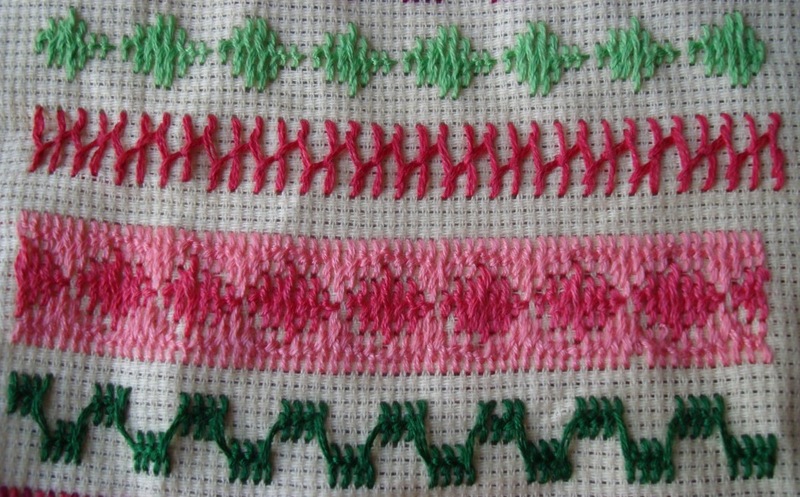 Again this stitch can be experimented on plain cloth. That’ll be the challenge for this week. Thanks for all your encouraging and inspiring comments. Thanks for sharing your lovely variations! Lovely as always, really inspiring, thank you!!! You have covered a lot of different ways to work this stitch. Lovely work. Very neat! And you used just about every possibility I imagined wich was about 12 more then when I started on this stitch. Vos points sont d’une régularité fantastique, j’aime beaucoup votre travail, merci de le partager avec nous. You have found some very interesting variations for your sampler. I like it. Quite creative. I don’t think I could think of that many variations even if I had a month to think about it!